The Brazilian conservation group Fundação Biodiversitas, with support from American Bird Conservancy, has secured a tract of vital Atlantic Forest habitat for Stresemann's Bristlefront, listed as Critically Endangered by the International Union for the Conservation of Nature (IUCN), and other rare species such as Banded Cotinga. The acquisition adds 766 acres to the 1,586-acre Mata do Passarinho Reserve, bringing the total protected area to 2,352 acres. This expansion represents a major step toward the preservation of the many species that rely on this unique and threatened forest region. Because of deforestation, the reserve "is like an oasis in a desert," said Gláucia Drummond, Executive Director of Fundação Biodiversitas. Expanding the protected area represents "one of the most promising and effective ways to save Stresemann's Bristlefront from extinction" and to preserve the area's rich biological heritage, she said. Biodiversitas created the reserve in 2007 with ABC support. The reserve sits at the southernmost point of a rare forest complex—one of the last patches of Atlantic Forest in northern Minas Gerais and southern Bahia states—that shelters numerous endangered species. The newly protected area includes large areas of primary forest as well as former cattle-grazing areas that, untouched for more than a decade, have become robust secondary forests. The Mata do Passarinho Reserve, an Alliance for Zero Extinction site, represents the last known home of Stresemann's Bristlefront. With a population of fewer than 15 known individuals, the ground-nesting bird is one of the most endangered species on the planet. "With this acquisition, the Mato do Passarinho Reserve now protects all the forest known to be occupied by Stresemann's Bristlefront," said Daniel Lebbin, ABC's Vice President for International Programs. "Additional expeditions are needed to confirm if any other bristlefronts may still persist in additional forest fragments nearby." "Mata do Passarinho" is Portuguese for "Songbird Forest". 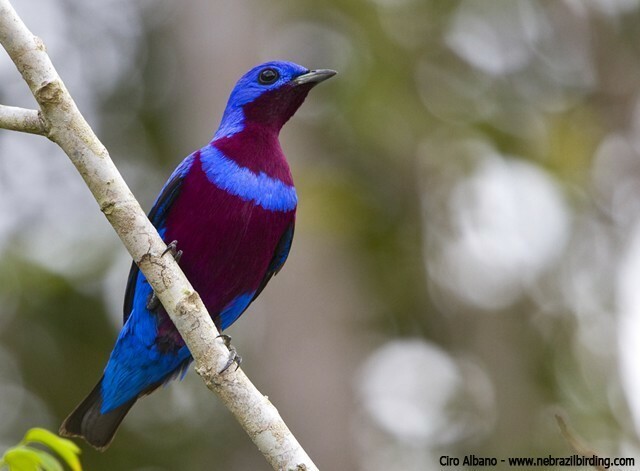 Many other endangered bird species shelter in the reserve, including Banded Cotinga, Brown-backed Parrotlet, Red-browed Parrot, Hook-billed Hermit, and Bahia Tyrannulet. Rare mammals including Maned Three-toed Sloth and Yellow-breasted Capuchin, the latter listed as Critically Endangered by IUCN, will also benefit from the expansion of the protected area. The Atlantic Forest stretches along the Brazilian coastline from the state of Rio Grande do Norte south to Rio Grande do Sul, and reaches inland as far as Paraguay in the south. With intense human development in the region, the forest has been reduced to about eight percent of its original extent. In some places it has disappeared almost completely. The expansion of the Mata do Passarinho Reserve helps guarantee the survival of this rare and threatened ecosystem and the many species that rely on it. As well as harbouring many rare and endemic species, the Atlantic Forest helps ensure clean water and air and other essential environmental services for the area's human population. "We want the reserve to be a source of pride for local communities and for public managers as well as being an opportunity to generate income for these people and municipalities," Drummond said. "The challenge now is to raise awareness among neighboring landowners about local production practices and help them understand the importance of maintaining and restoring native forest." In addition to helping secure the latest Mata do Passarinho expansion, "ABC has assisted the reserve with guard housing, reforestation programs, and a Stresemann's Bristlefront monitoring program," said Bennett Hennessey, ABC's Brazil Program Coordinator. 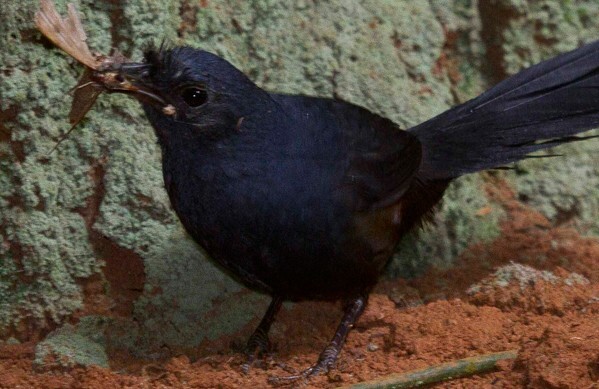 ABC and the reserve have also established a conservation program that includes supplementing the bristlefronts' food supply and providing artificial burrows for the ground-nesting birds.